Walt Disney World has recently filed permits for the Tron coaster. The permit shows the new coaster will be built adjacent to Space Mountain in Tommorowland at Magic Kingdom. Walt Disney World’s Tron coaster will be modeled after Tron Lightcycle Power Run at Shanghai Disneyland. 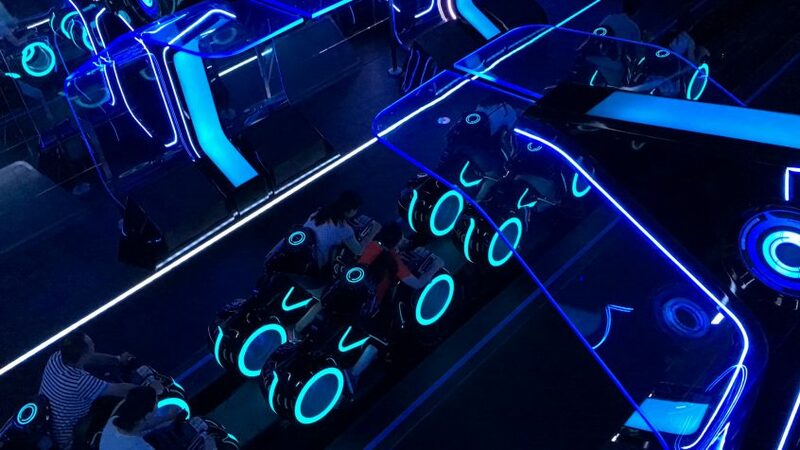 The coaster-style attraction invites guests to board a train of two-wheeled Lightcycles for a ride through Tron’s high-tech universe. The Tron attraction is expected to open in time for Walt Disney World’s 50th anniversary in 2021.